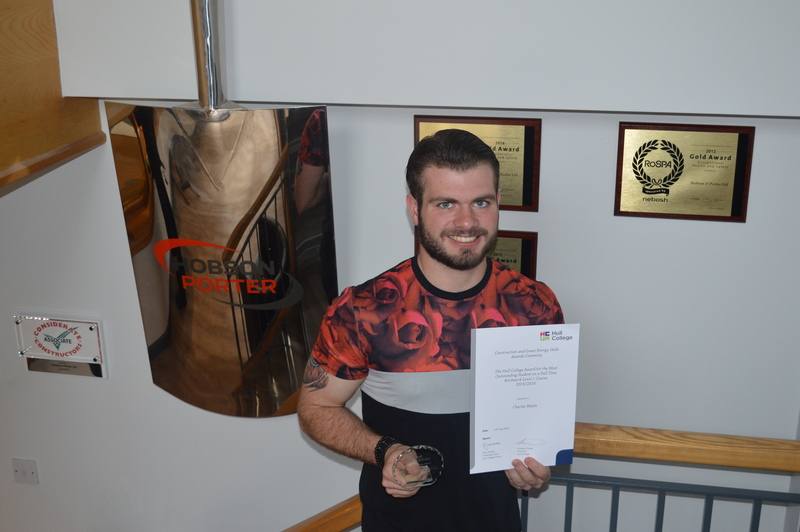 Charlie Walsh has made a hugely impressive start at Hobson & Porter, winning two awards at Hull College’s School of Construction and Green Energy Skills Annual Awards 2016 – after just over one month with the company. 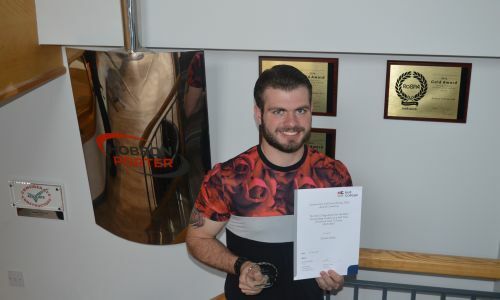 The bricklayer joined us in May of this year, while working towards a Level 1 in Bricklaying at Hull College, with Level 2 scheduled to begin in September. His experience of the company began with work on the Hull Dry Dock site, which comprises the construction of new office buildings and associated work to enhance the surrounding environment. He began gaining crucial work experience by shadowing staff from Hobson & Porter and subcontractors. Since then, Charlie has benefited from the expert support and supervision of Pauline Steele, our Employment and Skills Co-ordinator. Pauline attended the award ceremony with Charlie at Hull College on Monday 13th June, along with 200 students, parents, employers and other guests, at the CITB Construction Building on Queen’s Gardens. Speaking of Charlie’s progress with Hobson & Porter, Pauline said: “We are delighted with how far Charlie has come already, having only joined us in May. It is testament to his dedication, talent and hard work that he is progressing so well and is a worthy recipient of these two awards. If he keeps this up, he can look forward to completing his apprenticeship with flying colours and starting a long and successful career in construction. 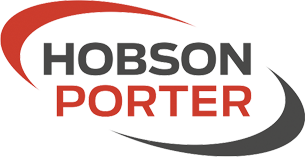 Next for Charlie, is helping Hobson & Porter to deliver a scheme to build a new LIDL store on Hedon Road in Hull. The project includes a range of internal and external works all of which Charlie will be getting involved with. The main construction will consist of ground works, brick and block work, underground drainage works (including the installation of a water attenuation tank), drainage connection works and the installation of cold water supplies. Work will also include floor slabbing, construction of a new loading bay, roofing works and installation works in respect of Alucobond cladding and a window and door system.